Much of NASCAR’s annual Silly Season is focused on the Monster Energy NASCAR Cup Series. Meanwhile, a lot of moves happen in the NASCAR XFINITY Series as well. With two races remaining in the XFINITY season, many moves have been announced, many have not and retirement is right around the corner for some. Though not everything is concrete, let’s break it down team by team. 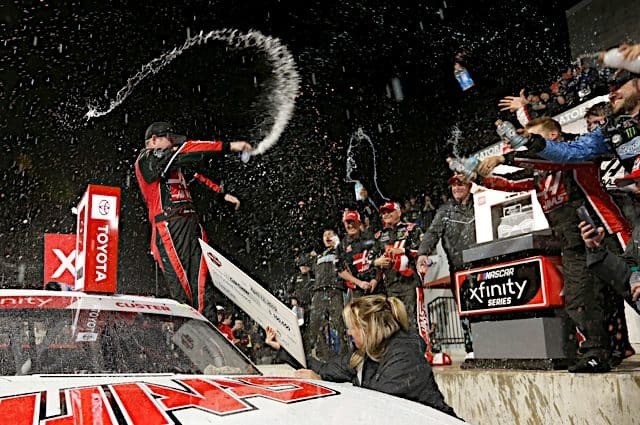 For the past three or four seasons, JR Motorsports has been the staple of full-time XFINITY teams, having won driver championships in 2014 and 2017. But change is around the corner in 2019. After 24 years of competition, Elliott Sadler will be retiring from full-time NASCAR following next weekend’s race at Homestead-Miami Speedway. Replacing the veteran in the No. 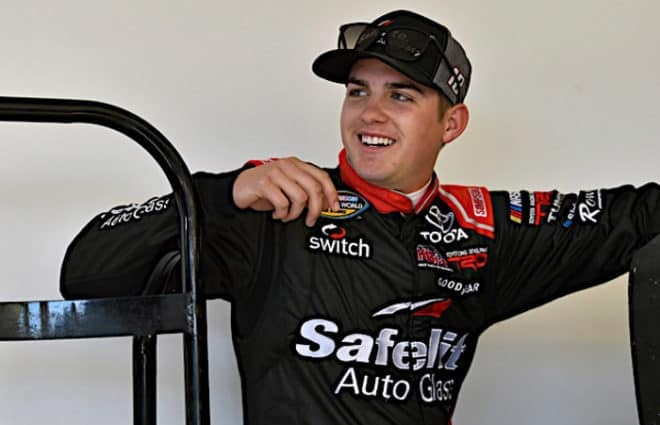 1 car will be 20-year-old prospect Noah Gragson. In 45 career Camping World Truck Series starts, Gragson has a pair of victories and 28 top-10 finishes. A five-time winner in 2018, Justin Allgaier will return to the No. 7 in 2019, as will Michael Annett and sponsor Pilot Flying J with the No. 5 Chevrolet. However, the team’s fourth seat opened up this past weekend when it was announced Tyler Reddick would be jumping to another Chevrolet team in 2019. So who takes the No. 9 — the same team that has won two of the past four championships? Rumors have leaked of possibly Trevor Bayne filling the shoes, as he’s out of a ride in the Cup Series at Roush Fenway Racing next season. There are certainly other names in contention, but one thing is certain — the driver will have to bring sponsorship to the table, as team owner Dale Earnhardt Jr mentioned at Richmond Raceway he doesn’t have the money for a driver to fund the car himself. Earnhardt also mentioned on this week’s edition of the Dale Jr. Download that he wouldn’t comment on the future of the team at this time. Remember Reddick? He will be driving for RCR in 2019, a company that got back into Victory Lane in 2018 after going winless for over two seasons. Car number, sponsorship and crew chief will be announced at a later date. Meanwhile, Matt Tifft is likely to remain in the No. 2 car after coming over to the team in 2018 from Joe Gibbs Racing. The team will likely field a third car for the likes of Cup drivers Austin Dillon, Ty Dillon and Daniel Hemric to compete in, though Shane Lee‘s future is unclear. The 2018 series wins leader will return to the No. 20 car in 2019, as Christopher Bell will run a second season with JGR in XFINITY. 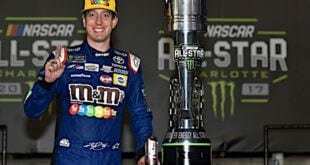 Despite having to likely win at ISM Raceway this weekend in order to advance to the Championship 4 race at Homestead-Miami Speedway, Bell has a rookie record six victories and led 656 laps. Brandon Jones will likely be driving the No. 19 car, as he has had sponsorship from Menards since going full-time in the series in 2016. The No. 18 machine will be driven by a plethora of Cup drivers, and, who knows, maybe even Kyle Benjamin, Riley Herbst or other Toyota Racing developmental driver get a crack in the ride. The biggest question at SHR is who gets the nod in the No. 41 Cup car. Sources have said multiple times that it will not be Cole Custer, and he will, in fact, return to the No. 00 Ford in 2019. Meanwhile, Chase Briscoe‘s name has been thrown out as possibly grabbing the No. 98 car full time. 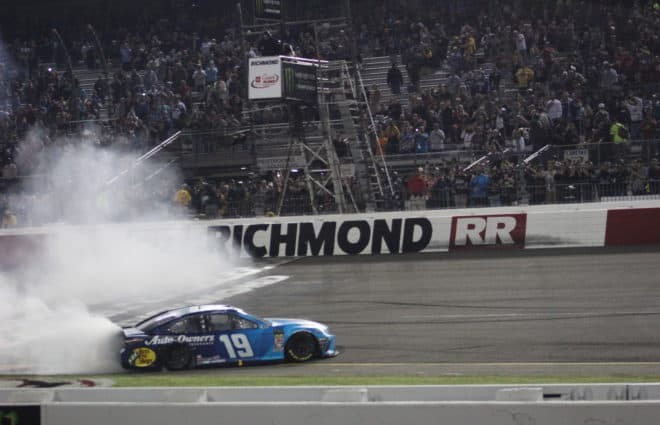 He dominated the Charlotte Motor SpeedwayROVAL en route to his first career victory and has backing from Ford Racing. 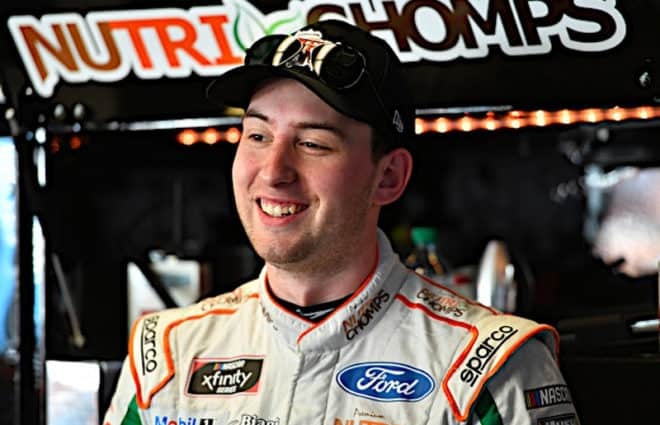 Austin Cindric split 2018 between Team Penske and Roush Fenway Racing, making it to the Round of 8. His best results were at Penske, as all 11 of his top 10s came in Penske equipment. 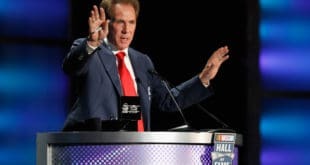 It would not be surprising to see him go full-time with the team in 2019, as his father, Tim Cindric, is the president of the team. This might be the most interesting team heading into the off-season. Lilly Diabetes announced three weeks ago that it would not return to the No. 16 car to sponsor Ryan Reed. So what happens to Reed? It’s unclear, just like it’s unclear what the company will do with the No. 60 ride. In a car that seems like it’s been cursed this season, Briscoe, Cindric and Ty Majeski have all made starts, though the car sits 22nd in the owner standings. Oh boy. What to do if you’re team owner Chip Ganassi? Kyle Larson has won four races in six starts this season in the No. 42 car, but Ganassi wants to invest in the future. 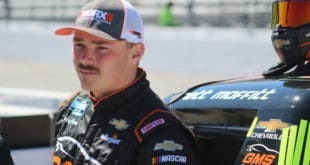 He’s given both John Hunter Nemechek and Ross Chastain an opportunity in the ride and both have brought it to Victory Lane at Kansas Speedway and Las Vegas Motor Speedway, respectively. If you want to go with youth, pick Nemechek. If you want to go with experience and a driver who’s paid his dues, give the nod to Chastain. This will be an intriguing scenario to follow over the off-season because should either of those drivers get the ride, they’re an instant championship frontrunner in 2019. In early January, Ryan Truex was announced to drive the No. 11 car, replacing Blake Koch. In the opening 31 races of the year, Truex has given the team its best drive in its three-year history. Sponsorship will be key here. Bar Harbor and Phantom Fireworks combined to be the primary sponsor for the first 19 races of the season. Since, Leaf Filter Gutter Protection, team owner Matt Kaulig’s company, has sponsored the car, which it did in both 2016 and 2017. Should a driver bring sponsorship to the table, it’s likely they get the ride. Justin Haley‘s name has been thrown out there in recent weeks, coming off a streak of 13 consecutive top 10s with three wins in that time frame in the Camping World Truck Series. Kaulig has also mentioned he wants to run two full-time cars. Earlier this season at Indianapolis Motor Speedway, the team ran a second car for the first time in company history. No clue. At Kansas, Spencer Gallagher surprisingly announced that he was stepping away from full-time competition following Homestead. That comes off the heels of picking up his first XFINITY victory earlier this season at Talladega Superspeedway. The announcement opens up a respectable ride — just look at what the company has done with its Truck team. It’s possible Haley could land here, though reports show he’s moving to the aforementioned Kaulig Racing. Nemechek’s name has also been linked here. Chastain has been loyal to JDM since 2015, so it’s possible he returns should he not get an opportunity with a bigger team. 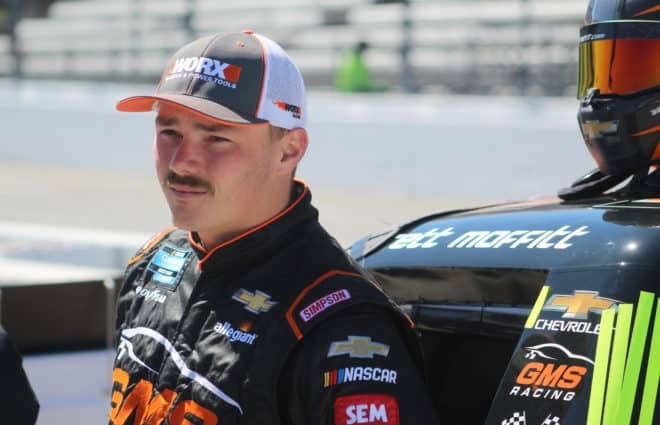 Garrett Smithley told Frontstretch at Dover International Speedway, he would like to come back to the team in 2019. The Georgia native got his first top five of his career at Daytona International Speedway to kickoff this season. From there, the options are wide-open. The team currently runs four full-time cars, and owner Johnny Davis mentioned to Frontstretch he’s poured more money into the team this season than ever before. The No. 15 has been raced by multiple drivers this season, as has the No. 01 after Vinnie Miller departed from the team following Richmond Raceway in September. Just like the past eight full-time seasons, Jeremy Clements will be racing for his family-owned team next year. Currently, he’s on a streak of 15 consecutive top-20 finishes. Much like Clements’ team, Ryan Sieg will more than likely be racing for his family-owned team next season. This year, the company moved to three full-time cars, as JJ Yeley and Jeff Green have run the majority of the season in the Nos. 38 and 93, respectively. 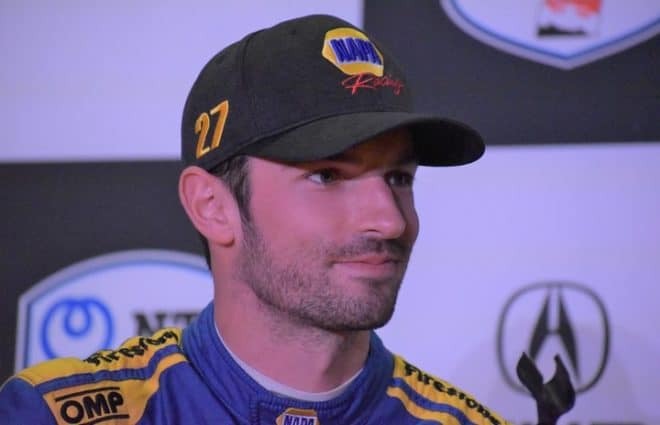 Last weekend at Texas Motor Speedway, Gray Gaulding was announced as the driver of a newly formed No. 08 team for 2019. Gaulding has competed in eight career XFINITY races in the past. So who is he replacing? Both Spencer Boyd and Joey Gase have run the full season for a partnered SS Green Light Racing and Go Green Racing this season. Gase has been outspoken about wanting to move to the Cup Series, though nothing has been announced yet. Boyd also told Frontstretch he has nothing to report at this time. The aforementioned Vinnie Miller will be driving the No. 78 car full-time next season, which is big for BJM to get a driver with funding. As for who fills out the No. 8 ride, it’s still undetermined. Sources have said Tommy Joe Martins, Ray Black Jr and Cole Rouse, among others, could split time in the car. This season, 16 drivers have competed for the race team. This year, the team brought two cars to every track: Nos. 36 and 90. Alex Labbe drove the team’s primary car (No. 36) the entire season but told Frontstretch he has nothing confirmed for next year. Josh Williams has piloted the No. 90 car in 20 races. Brandon Brown has added an additional six, but will operate his own team in 2019 — Brandonbilt Motorsports — the same team he drove for in Trucks. A spokesperson from Jimmy Means Racing told Frontstretch they have nothing to report for 2019 and are focused on finishing out 2018 on a good note. This season, David Starr has driven the No. 52 machine, having a pair of 17th-place finishes to his name. Team owner Carl Long has primarily run two full-time teams this season and, at times, three. Rookie driver Chad Finchum recently told FS he is in the pursuit of nailing down plans for 2019, though nothing has been set. Timmy Hill has run for the team in 27 events, as seven additional drivers have had seat time in one of its rides. Team owner Jerry Hattaway confirmed to Frontstretch the team will be back in 2019, though the driver lineup is undetermined. Josh Bilicki has run in 28 races for the team this year, though withdrawing from last week’s event at Texas due to a practice crash. Seven drivers have competed in the team’s No. 55 car. Morgan Shepherd mentioned to Frontstretch a few weeks back the team could shut down in 2019 as NASCAR is reducing the field to 38 cars. He’s raced in 19 campaigns this year. It’s possible that Homestead could be the last time the No. 74 team goes full-time as Mike Harmon stated he has to put his business hat on moving forward. The team has started 24 races this season among five different drivers. There are 40 cars on the XFINITY Series entry list for this weekend’s Whelen Trusted to Perform 200 at ISM Raceway, the cutoff race for the Championship 4 at Homestead-Miami Speedway. Cole Custer enters the race locked into the championship race, with Tyler Reddick +20, Elliott Sadler +13 and Daniel Hemric +12. Justin Allgaier enters one of his best tracks on the circuit -12, as Matt Tifft is -14, Christopher Bell -34 and Austin Cindric -61. This weekend’s race is also the cutoff for the Championship 4 for the owners’ championship. The No. 42 team secured a spot by winning at Kansas Speedway, as did the No. 00 by winning at Texas. Currently, the Nos. 1 and 21 teams would be the final two advancing. The No. 22 team enters seven points out, while the No. 7 is -14, No. 20 -33 and No. 18 -37. Tyler Hill will be making his series debut in the desert for MBM Motorsports, driving the No. 13 car. In four ARCA Racing starts this season, Hill has a best finish of seventh in the season finale at Kansas Speedway.